We are extremely proud to offer more music from Bluetech's EvanBartholomew. "Secret Entries Into Darkness" brings another example ofsonic storytelling to Somnia, moving from atmospheric float intopulsing minimal electroid rhythms. Evan's got a unique perspective ondowntempo music, masterfully blending organic rhythms that only deepenthe more times we listen to it here at the shop. Outside of the shop,it's a staple for helping to guide us on our meditative and shamanicjourneys, often personally acting as the anchor to help bring me backto my body when traveling. 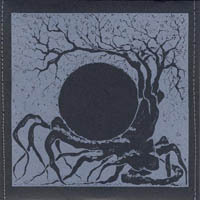 As Somnia describes this CD:"Fractaline analog grooves and micro beat construction establish ahypnotic base for a composed layer of ambient exploration to unfold.Presenting a balance of analog modular synth elements and complex dspprocessing, 'secret entries into darkness' further's somnia's approachto cinematic modern music." We couldn't agree more. 777 copies worldwide. soy ink on recycled paper, sewn, sealed in wax, signed and numbered.